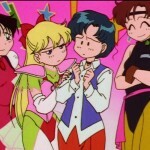 This entry was posted in Sailor Moon Anime (1992) and tagged Chibi Chibi, Galaxia, Hulu, Princess Kakyuu, Sailor Moon, Sailor Moon Sailor Stars, Sailor Moon Sailor Stars episode 194, Sailor Moon Sailor Stars episode 195, Sailor Star Fighter, Sailor Tin Nyanko, Silver Moon Crystal Power Kiss by Adam. Bookmark the permalink. 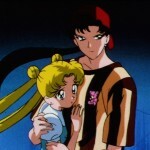 Mamoru gets a lot of flack from fans but Seiya’s “am I not good enough?” comment comes across a bit emotionally manipulative of her, especially when Usagi is already having a breakdown. I wish we got to have more episodes of Tin Nyanko. I feel like she has a really interesting backstory to her character but she never gets any development besides being a typical shallow bad guy that only has one standout tragic moment at the end. 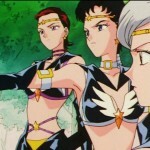 I also agree they should have used Saturn more in these episodes. 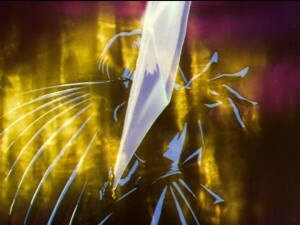 Does she even use any attacks that actually work in the 90s anime? 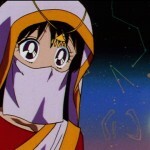 And for all that Sailor Stars makes a big deal about Princess Kakyuu, she seems rather weak and pointless in the long run. This is disappointing because we do actually see her transform and attack in the manga but I hope we’ll get to see Crystal do a proper adaptation of the Stars arc. Manipulative maybe but it seems just to be the words of a desperate man who’s starting to realise it just isn’t going to happen for him. Only a few more episodes and then the entire original series is done. Kind of sad, really. I enjoyed every Monday getting a breakdown of the two latest episodes and our kind friend Adam’s sardonic take on each episode. 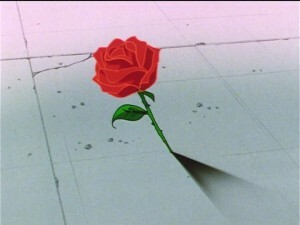 From complaining that Rei and Mamoru never were given the exploration they needed to pointing out all the ridiculous plot holes and filler stuff that the original anime did, it was fun. 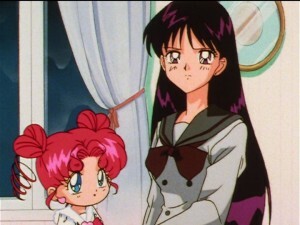 Oh well, we still have the English dub of SMC and the new season to look forward to. I always love discussing those with everyone. I’ve been enjoying reading this blog’s review of the episodes almost as much as I have been rewatching the episodes myself and it’ll be sad to see it come to an end. New Crystal episodes will pick up soon so those reviews will sort of replace these. Assuming we get those episodes at some point! Five more episodes left and counting! 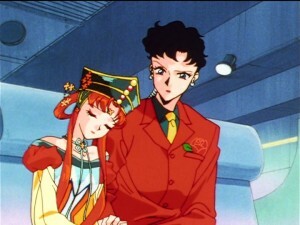 Next week, we find out what really happened to Mamoru AND Hotaru returns! 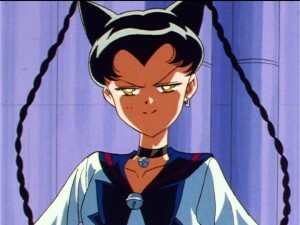 Sailor Pluto comes onto the scene too, I think. Yeah, then she dies along with Saturn as well after Uranus and Neptune turn against them… or do they? 5, to be exact. That would mean we would only see one episode, which would be the final episode. Spoiler! 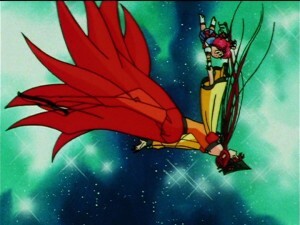 Mamoru had his star seed taken by Galaxia. Another spoiler, Galaxia reveals she released Nehellenia to reawaken Saturn just so her Star Seed can mature. That’s a bit rude. That’s my favorite season. Just noticed something. Next Monday is 196 and 197. Then the next week is 198 and 199. This means we’ll be getting episode 200 all by itself. Normally we get 2 episodes every Monday but the numbers are uneven. I don’t know if they’ll post up episode 200 with 198 and 199 or just have a week with only 1 episode. Hard to tell. I don’t believe they have posted an April schedule. For now I’m expecting 200 to be on its own on the 11th but we shall see. Maybe they’ll upload the SuperS specials after episode 200? So mad about Seiya’s line change. 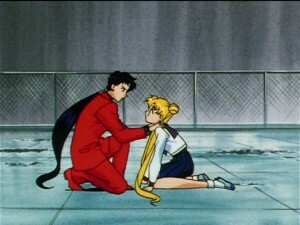 Changing “Am I not good enough?” to “Can I take his place?” completely changes the context of the scene, making him look desperate rather than realizing that his feelings for Usagi will never be reciprocated. Terrible. Didn’t realise this was changed when I wrote the review. To clarify why I’m saying this: I just checked, and the line Seiya says literally _CAN NOT_ be interpreted as “Can I take his place?”. You might say it was something like “Am I no good?” or “Am I not good?” (“Am I not good enough?” makes more sense), but Viz’s translation of the line _literally_ has nothing to do with what Seiya said AT ALL. This is because Viz simply can’t (or won’t) translate things correctly. I will miss these episode reviews/discussions! I will miss it more than the series itself because I feel they actually did a average job for this last season. I wanted the series to continue and they could have had it continue on. I felt like this season was pretty lacking in terms of story and development considering this was their last season. Also as this review points out so many plot holes. 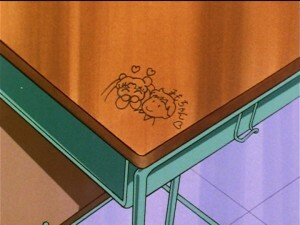 Who is paying for Mamoru’s apartment this whole time? His parents died so who is allowing him to live so well? Did he even have a job? I can not wait to see the reviews on the future episodes just because of how ridiculous Galaxia is in them. As the series progresses into the finale the more silly the bulk of the season becomes. This series as I’ve rewatched it (still on season 1) is so full of plot holes! 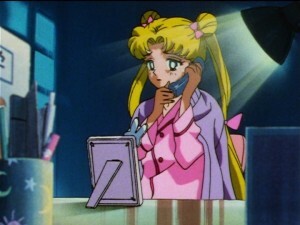 I wish they actually did a better job fixing creator Naoko’s plot holes instead of giving us more plot holes. 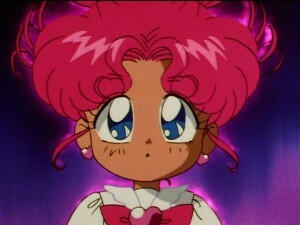 I forgot who I originally thought Chibi Chibi was, I believe I thought it was Sailor Moon’s second daughter.